Angela Bottum joined us in January of 2006. Angela handles accounting, investments, and human resources, works closely with the President & CEO on budgeting and operational issues, and manages the financial aspects of our grantmaking initiatives. Before coming to WDN, Angela worked for four years as the Chief Financial Officer at Three Guineas Fund, a San Francisco foundation whose mission is to promote social justice by improving economic and educational opportunities for women and girls. 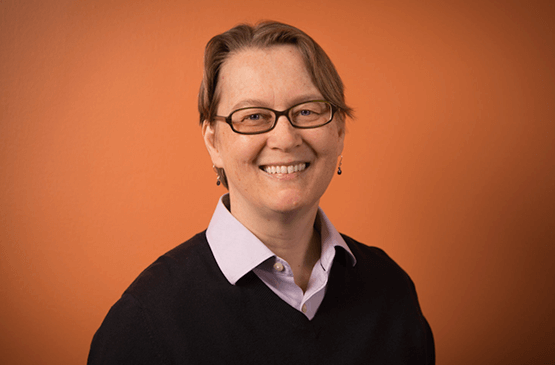 At Three Guineas Fund, Angela managed the financial spin-off of the foundation’s largest operating project into a separate organization, reviewed grant proposals, and provided technical assistance in financial management to grant partners. She continues to work as an independent financial consultant for several Bay Area nonprofits and especially likes collaborating with ambitious start-up organizations working for social change. Angela’s professional background also includes financial management in the private sector, staff positions with Democratic presidential and congressional campaigns, and writing and editing positions. Angela’s academic background and interests are decidedly more liberal arts than financial. She holds a B.A. degree in History and Political Science from Williams College and a Master’s in City Planning from Cornell University, with an emphasis on local economic development, policy reform, and strategies to reduce women’s poverty. Committed to progressive politics and social and economic justice, Angela’s particular policy interests include sustainable economic development, lesbian and gay rights, and environmental protection.